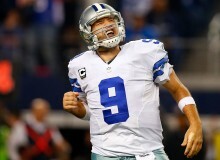 The Dallas Cowboys have lost both games against the New York Giants this season. 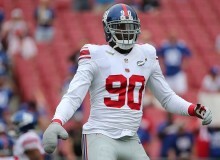 New York Giants fans are hoping Jason Pierre-Paul is healthy. 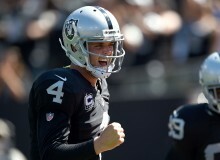 The Oakland Raiders are now in first place in the AFC ahead of the New England Patriots. 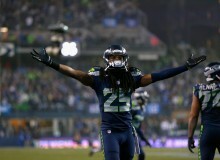 The Carolina Panthers and Seattle Seahawks will play on Sunday Night Football Week 13. NFL predictions, schedule, and a live game stream here. 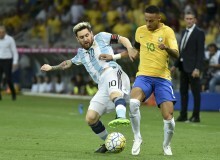 Argentina remains in first place in the FIFA World rankings and Brazil has overtaken Germany's place. The Philadelphia Eagles will not have Ryan Mathews and Jordan Matthews is questionable to play against the Cincinnati Bengals. The New England Patriots will have to compete without Rob Gronkowksi on their roster, as he is likely done for season and heading for Injured Reserve. Barcelona and Real Madrid will play in a La Liga game with Lionel Messi, Cristiano Ronaldo , Luis Suarez and Neymar leading the way. 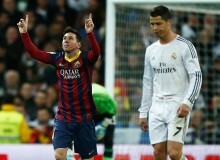 Predictions, schedule and live stream For El Clasico here. 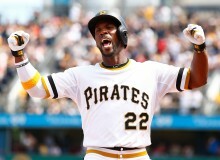 According to the latest MLB Trade rumors, the Pittsburgh Pirates could deal Andrew McCutchen to Washington Nationals. If the Dallas Cowboys release Tony Romo from their roster making him a free agent, here are five teams that should consider singing him for 2017. 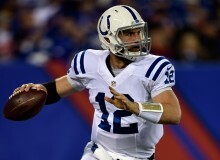 Indianapolis Colts quarterback Andrew Luck should be able to play against the New York Jets on Monday Night Football. 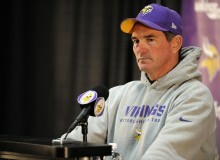 Mike Zimmer may not coach Thursday night against the Dallas Cowboys. 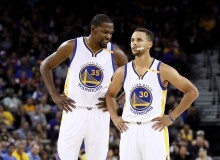 The Golden State Warriors have taken over first place in the NBA Standings ahead of the Los Angeles Clippers and Cleveland Cavaliers. 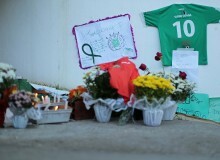 It turns out the airplane carrying the Chapecoense soccer team ran out of fuel. Tom Brady, Rob Gronkowski and Julian Edelman were missing from New England Patriots practice because of injuries. 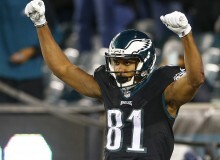 The Green Bay Packers scored a huge victory over the Philadelphia Eagles on Monday Night Football, but they still have a long way to go if they want to make the postseason. Here's how they could make the playoffs. Los Angeles Lakers shooting guard Nick Young suffered an Achilles strain against the New Orleans Pelicans. Barcelona and Real Madrid will face off in the El Clasico with Lionel Messi, Cristiano Ronaldo, Neymar and Luis Suarez leading the way. Here are 5 reasons why Barcelona will win this La Liga game. 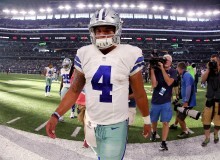 The Dallas Cowboys and Minnesota Vikings will play on Thursday Night Football Week 13. 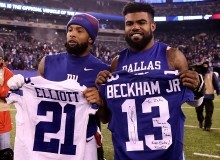 NFL game predictions, schedule, and a live game stream here. 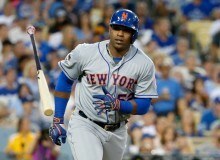 Yoenis Céspedes has chosen to re-sign with the New York Mets. 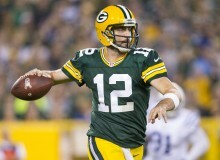 The new contract is for four years and $110 million, roughly $27.5 million per season.